If you're looking to sell a property in SE1 and the surrounding areas of Central London, you've come to the right place. Garrett Whitelock is a dynamic local independent agency with a passion for delivering great service, and a local, national and international reach. We know the local market inside out, and our extensive marketing activities ensure that we can sell your property for the best possible price. When you appoint Garrett Whitelock to market your property, we guarantee that it will receive maximum exposure. Eye-catching 'for sale' boards, well-designed property details (professional photography and floor plans are included as part of our service) and a large shop front in a prominent location on Tower Bridge Road will get your property noticed for all the right reasons. To ensure your property is seen by a local, national and international audience, it will be listed on all the major property portals, including Rightmove, Primelocation, Zoopla and many others, where we regularly pay for premium listings to boost the profile of the properties we represent. Your property will also feature on the Garrett Whitelock website. 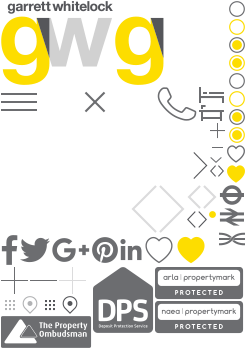 Advertising in local publications, PR and active social media campaigns complete the promotional package, ensuring your property receives maximum exposure and high levels of enquiries. We set up Garrett Whitelock to do things properly, after becoming frustrated with the general lack of accountability, integrity and professionalism in the industry. As owner-managers, we really care about our business, and providing a good service to our clients is at the centre of everything we do. When you appoint Garrett Whitelock we guarantee to do everything possible to help you achieve a successful sale. Put simply, we want you to be so happy with our service that you'll tell all your friends about us! We specialise in residential sales, lettings and property management in SE1 and the surrounding areas. We are known and trusted in our patch, and completely understand the nuances of the many sub-areas within it. When you appoint Garrett Whitelock you can be sure of accurate valuations and up-to-date market knowledge because we're extremely active in the area. In fact, your buyer is probably already registered with us. Garrett Whitelock is a fully accredited member of the National Association of Estate Agents (NAEA), the Association of Residential Letting Agents (ARLA), and the Property Ombudsman, and abides by their strict codes of conduct, guaranteeing a professional service every step of the way. We're a genuinely friendly bunch and enjoy what we do. It's our aim to find you a suitable buyer who is prepared to pay the optimum price for your property within your desired time frame - we also want them to have a positive experience of our service. At Garrett Whitelock we accompany all viewings. Our usual office hours are Monday to Friday, 9am - 6:30pm, and Saturday 10am - 4pm, but we regularly conduct viewings outside these times to suit the needs of our clients. We will always check with you to ensure you're happy for a viewing to take place before we show anyone around, and we will always provide you with feedback after each viewing. Because our service doesn't stop until we hand over the keys, our innovative new online platform, My Property File, gives all parties the opportunity to see how things are progressing whenever they wish. Selling a property can be extremely stressful and the ability to check the exact status of your sale in real time helps to nip any potential problems in the bud and achieve a successful completion. This is the third time Garrett Whitelock has acted on our behalf once buying and twice selling. They have always performed to the highest standards and we wouldn't hesitate to enlist their services again in the future. Garrett Whitelock is a fully accredited member of the National Association of Estate Agents (NAEA), the Association of Residential Letting Agents (ARLA), the Property Ombudsman and the Tenancy Deposit Scheme and abides by their strict codes of conduct, guaranteeing a professional service every step of the way. As a company, we also have Client Money Protection in place to safeguard your money from theft or misappropriation. How long will it take to get my property on the market? Upon instruction, we can normally organise for professional photographs to be taken and floor plans drawn up in as little as 24 hours. It then usually takes a further 48 hours for your property to 'go live' on all of the online property portals. Will you call me in advance before a viewing takes place? Yes, always! We will arrange viewings at times that suit you. How are offers put forward? Initially offers are usually made verbally. We will talk the offer through with you and then confirm the details in writing. How long does a sale take to complete? Once an offer is accepted, for a leasehold property it usually takes around 8-12 weeks for a sale to go through. The process can be a little quicker if the property is a freehold. Does your job finish when a sale is agreed? Definitely not, this is when the hard work really begins. We will keep in constant contact with your buyers and ensure that you are kept fully up to date as your sale progresses. We will be the main point of contact for all parties, including solicitors, and will do everything possible to ensure that your sale progresses smoothly and that specific actions happen in a timely fashion. It's our aim for your buyers to arrange a survey within two weeks of their offer being accepted and to ensure that local searches are applied for promptly to avoid any delays.